Adam is part of a young generation of musicians using social media to build their fan base. 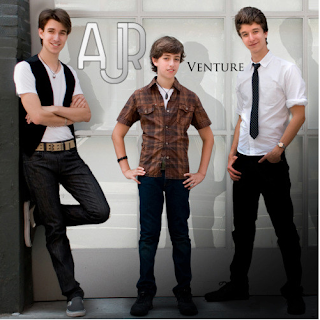 He is a junior at Columbia University, and along with his two brothers, Ryan, 16, and Jack, 13, has a band called AJR. The band plays pop music, ballads and iconic covers. The band has about 700 “Likes” in Facebook, which is the hub of everything Adam does. They also have a website, Myspace, Twitter, Ping and Youtube pages. However, Facebook is where Adam is trying to build the fan base. “Now a days people websites are not used so much to build a fan base. They are for redirecting people to the social networks, and iTunes. It is really more about the social media experience. The connecting of fans to each other and to the artist,” Adam said. On Twitter, a program called “Tweet for a Track” has been one of the most successful endeavors for Adam. The program is a website where you sign up and upload a music track. When someone tweets about you, they get a free download for that track. In other words, all that people need to do is one tweet about you to get a free piece of music. So far, the program has worked only among his band followers. Adam is trying to grow the twitter base, which has 80 followers, at least to the size of the facebook page. Adam is selective with the timing and content of his tweets. “In doing live post between 10:30pm and midnight, I get many more likes on Facebook.” In addition, he only tweets content to help connect with his fans, such as questions to fans and video links. The band also creates contests once a month for its fans. The contest running right now on Facebook is for the newest video, which was filmed all over New York. The contest is to post on the wall as many different locations that you can recognize in the video. Adam mentioned that people have been messaging them individually, and posting on the wall with different ideas. The winner of the contest will be the first to hear one of the band’s new songs and be invited to give comments and feedback.